2424 Koa Avenue. Honolulu, HI, 96815. Open 5 pm - 2 am Monday - Saturday. Open 10 am - 2 am Sunday. Sunday Brunch 10 am - 1 pm. Kitchen hours 6 pm - 12 am daily. Happy Holidays! 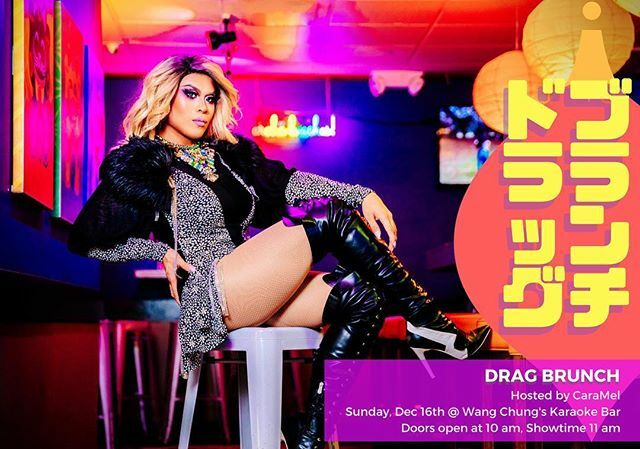 Join us on Sunday, Dec 16th a special holiday Drag Brunch! Happy Holidays! Join us on Sunday, Dec 16th for @caramel.flava’s Special Holiday Drag Brunch! She’ll be checking off her “NAUGHTY or NICE” list with guest performers @annameisean @water.melone @appleadayxo! Brunch starts at 10 am, performances begin at 11 am and our #catamaran is at 1 pm! We’re always humbled and thankful for the amazing people that come through our doors and support our community. This year for #Wangsgiving, you raised $1,206. 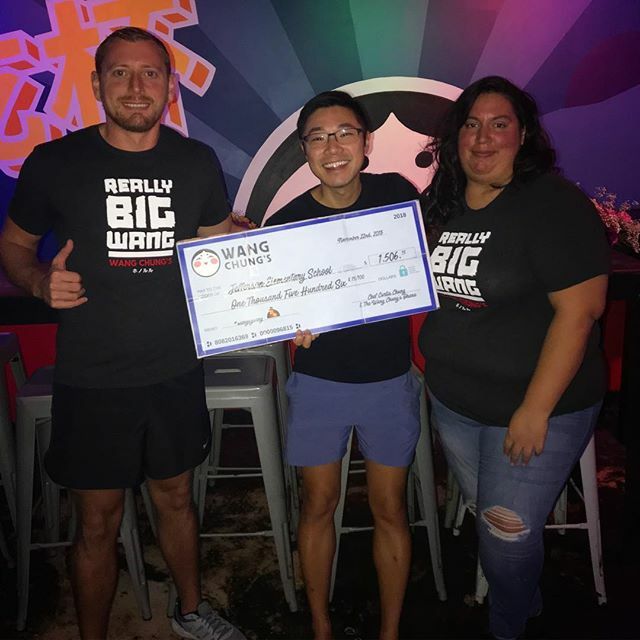 Combined with the $300 match from the Wang’s staff, it totals $1,506 for our keiki and teachers at Jefferson Elementary! We’re also working with a local non-profit to try to get the #GivingTuesday match from Facebook & PayPal to total the proceeds raised for Jefferson Elementary to $3,012. Big thanks to everyone that came through to have dinner with us and also to the folks that already had Thanksgiving dinner but still dropped in to donate to #Wangsgiving. You guys never fail to come together to support a great cause. Beyond giving and receiving, aloha rests upon a foundation of sharing — sharing kindness, harmony, happiness and humility. Aloha was the working philosophy of native Hawaiians and was used to extend warmth in caring with no obligation in return. This holiday season, in addition to your thoughtful giving, you take part in the timeless tradition of sharing through aloha. We’d like to invite you, our friends and family, to join us for Thanksgiving. Chef Curtis Chung from El Chino Loco will be making this year’s Thanksgiving spread, and hosting this complimentary Thanksgiving dinner at Wang Chung’s on Thursday, November 22nd, 5-9 pm. Dinner is complimentary, and all donations will be donated to Jefferson Elementary School! Last year we raised $1,400! Chef will be making turkey, imu cooked kalua pig, stuffing, mashed potatoes, gravy, candied yams, fresh cranberry sauce, and of course amazing pumpkin pies. Come get stuffed (for a good cause :-)! Veteran’s Day Weekend Catamaran, Sunday, Nov. 11th! CATAMARAN = AN EPIC SUNDAY FUNDAY! Join us on Sunday, November 11th at Wang Chung’s for a fun Veteran’s Day themed Drag Brunch followed by our fun packed catamaran! Catamaran Check-in is at 12:30 pm following announcements by your cruise director and bartender at Wangs, Tre Rhyne! At 1pm, the group will be escorted to the boat, which will set sail at 1:30 pm, for a 90-minute ride. It’s a short walk to Rainbow Sailed Catamaran in front of the Duke statue at Kuhio Beach to board the boat. Swimming allowed depending on weather and ocean conditions at the discretion of the Captain for everyone’s safety.